Simple thing really. Drink a beer, run a lap. Repeat 4 times. Wa-lah. 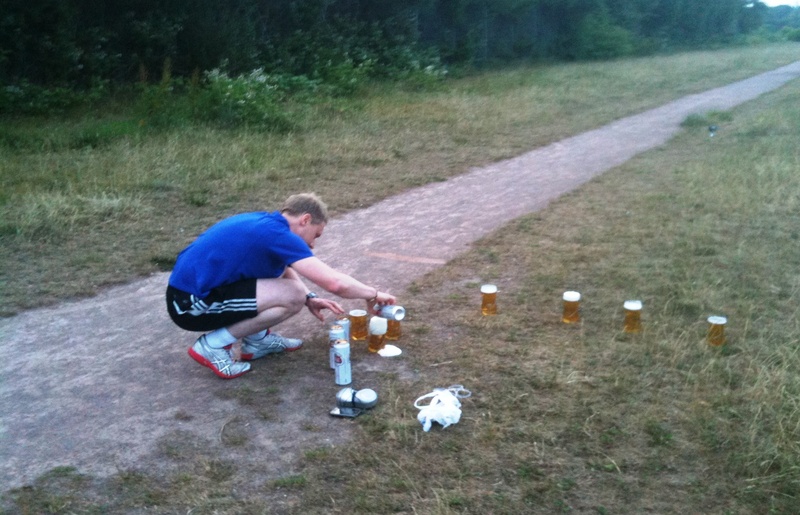 Beermile. On Wednesday evening, somewhere between 9pm and 10pm, Gracie and yours truly entered into this most hallowed of clubs, for distance runners the world over. We joined a group who can, justifiably and proudly, announce “yes, we are stupid enough to have run a beermile”. Being in the UK, we adopted the UK rules, which basically means a pint before each lap, instead of a can before each lap. Rudimentary arithmetic told us there would be a lot more beer this way, so it was an easy decision. The other variation in US/UK rules is the penalty lap. In US rules, throwing up at any point results in an additional penalty lap being run (only 1 lap mind, no matter how many times you upchuck). No such nonsense in UK rules. Chunder at will without fear of recrimination. Sums it up really. 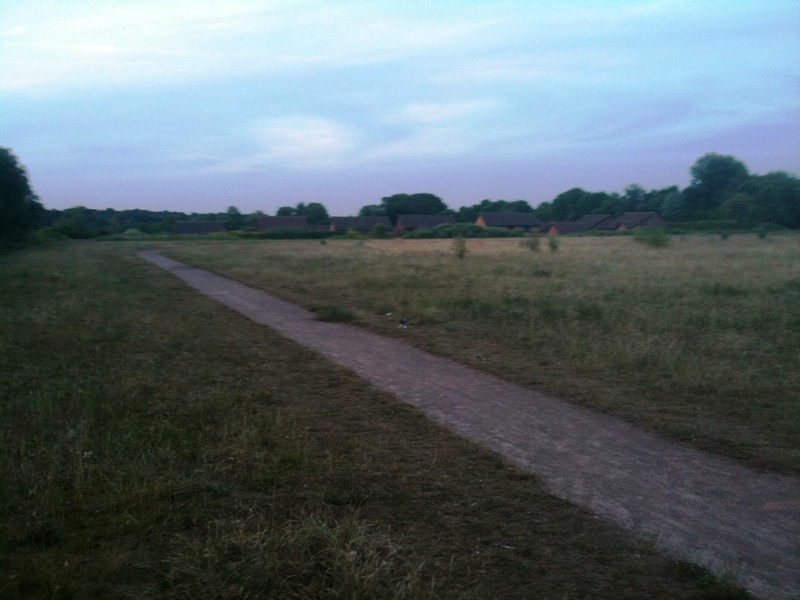 So it was, that on the evening of the 30th of June 2010, the first (that we know of) Rowheath Chunder Mile took place. 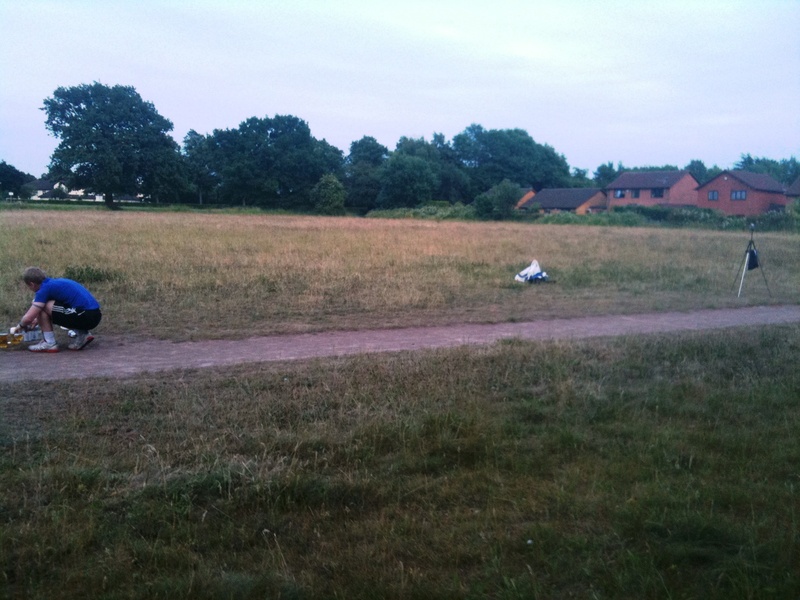 We christened it the 2010 Rowheath Chunder Mile Trial 1. But we’re getting ahead of ourselves; let’s get back to the racing. Conditions were darn near perfect. We set up our recording equipment and poured the pints, taking care not to position the cups too close together for fear that in our haste to grab one, we knock another over. Unthinkable. Luckily our shrewdness allowed us to foresee and avoid this possible tragedy. No beers were spilt! Everything set up and chomping at the bit, we got the whole messy affair underway. It went downhill from there really. The first pint seemed to take ages to finish. I was already queasy as I gulped down the last few sips of pint number one. Finally I was away! Slightly behind seasoned-drinker and self-proclaimed “specialist subject: beer” Gracie, but I thought he looked catchable. Nope, he wasn’t. Turns out, running with a pint sloshing around somewhere between the back of your throat and your belly is not easy. This is not a good sign I thought to myself. Where am I going to fit the next three pints? First lap completed, time for pint number two. Now it started getting messy. A few sips in and the beer was going nowhere. My body decided it was time to raise the drawbridge and call in the gatekeepers for the night. I vomited. Gracie had, a few seconds earlier, done so in far more impressive fashion. We stuttered through the second pint. Somehow I got away before him. The running was now light relief by comparison. I didn’t want the lap to end. But it did and it was time for pint number three. Details get a bit blurry around this point; I remember the third pint going more or less the same way as the second. Two steps forward one step back if you will. Gracie looked to be in the same boat. At some point between this pint, the lap, and the final pint he overtook me. I was in no condition to defend the position, nevermind attempt to reclaim it. We engaged in some embarrassingly uncool post-race foolishness, pretending to interview each other (bad enough..) while not realising the camera was about waist height (getting worse..). So we looked like two talking torsos. Gracie was ill again, I think, and then we packed up the kit and went home, talking about how un-drunk we were (hah!) and how much fun (hah!) the whole thing was. No actually that last part was true – it was a lot of fun. I just wish we hadn’t been so useless at it. Next time eh? If all of that wasn’t enough for you, the whole bitching mess was badly filmed and will be available for viewing displeasure just as soon I manage to locate the damn firewire cable. Superb work there by you and Mr Grace! Will you be doing interval sessions in the Plough this summer?